With its Danish design, this four-star plus vessel offers timeless elegance and luxury. 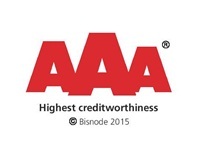 Comprehensive facilities ensure that all guests can enjoy every aspect of their vacation. 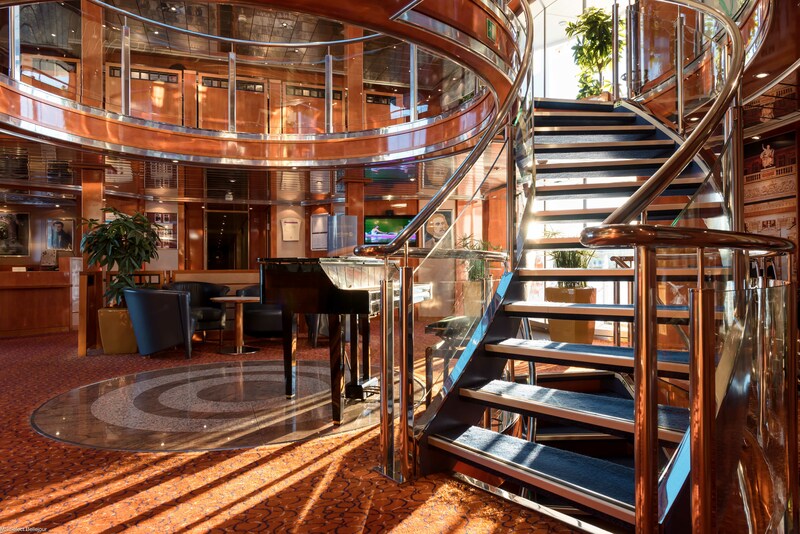 The 127 m long vessel has an impressive and almost royal entrance hall with a welcoming reception, private seating and grand staircase leading to the upper deck. With spacious public areas, panoramic restaurant and lounge, plus plenty of outside seating, guests can soak up the ever changing scenery at any time. 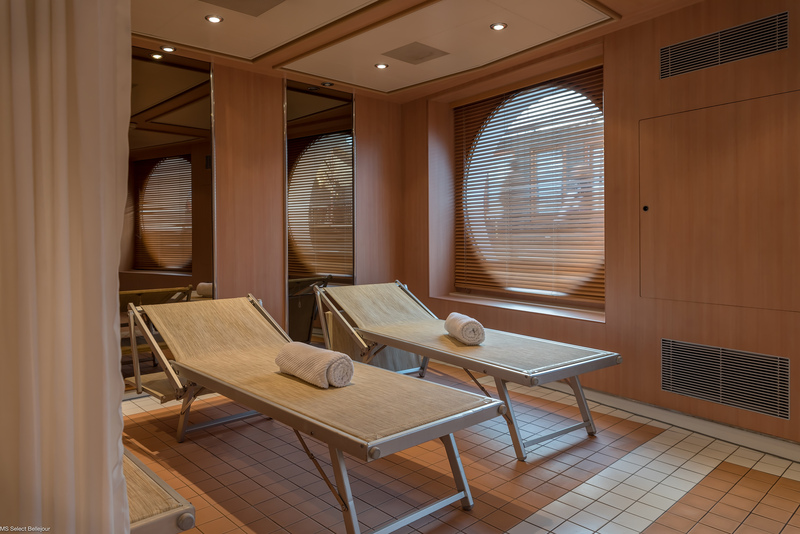 Passengers can also enjoy an extensive indoor wellness area with sauna, whirlpool and gym to ensure maximum comfort and relaxation. 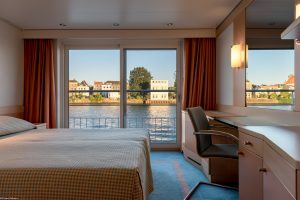 Other amenities include an entertainment area, WiFi and an on-board shop with essential comforts, gifts and local specialties. 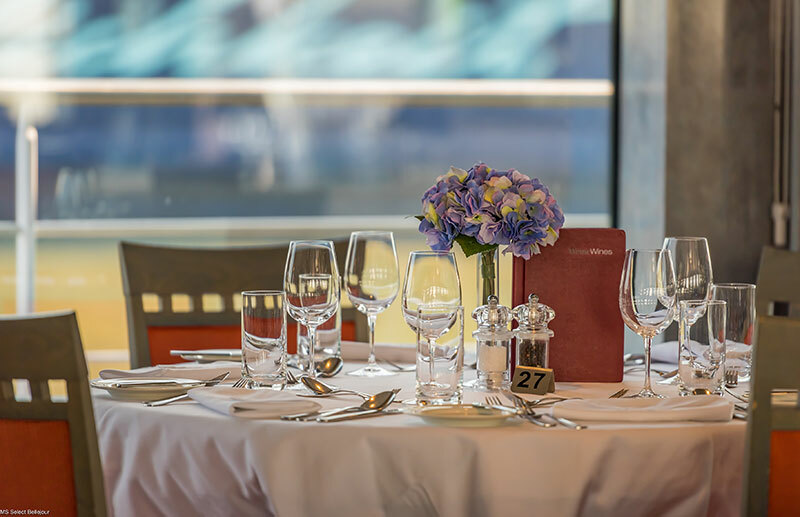 Combined with excellent service your cruise journey onboard the MS Bellejour will be one to never forget. 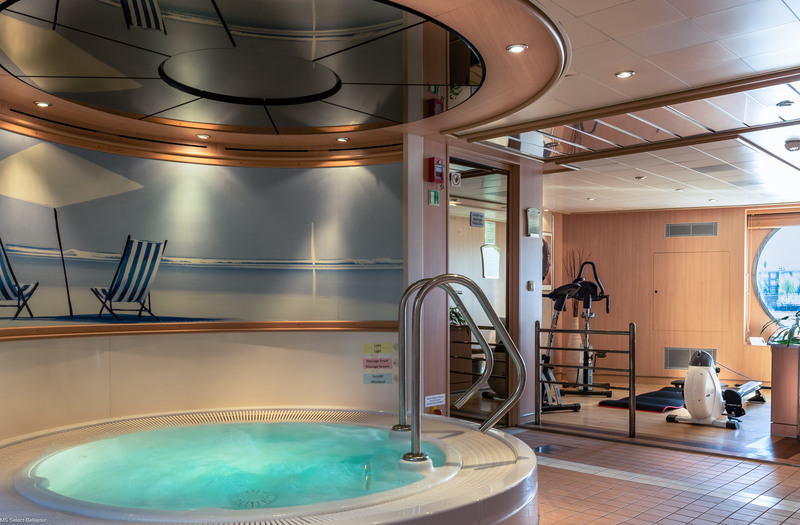 The MS Select Bellejour has 90 large cabins allowing for a maximum of 180 passengers. 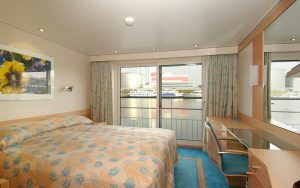 Cabins are divided across three decks and the same in size of approximately 15 m². 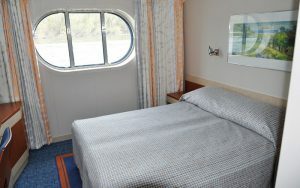 Standard cabins on the lower deck are fitted with two fixed picture windows, whereas superior cabins on the middle deck and deluxe cabins on the upper deck all have opening French balconies. All cabins are equipped with separable twin beds, satellite TV, safety deposit box, telephone, hairdryer, mini bar, individual heating and cooling system, and separate bathroom with individual shower and toilet. Such facilities, combined with the spaciousness and Danish design of the cabins, create an ambiance of luxury and elegance that ensures a pleasant and comfortable stay.